The EuroStrings Winners’ Competition, where all EuroStrings Artists of 2017/2018 will challenge themselves, will take place on Sunday 8th April at 20.00 at Zagreb Guitar Festival. The EuroStrings Artists 2017/2018 who will compete on our EuroStrings stage are: Nicola Montella-Classical Guitarist (Italy), Niklas Johansen (Denmark), Péter Girán (Hungary), Vedran Vujica (Bosnia and Herzegovina), Dmytro Omelchak (Ukraine), Antoine Moriniere (France), Antero Pellikka (Finland), Boyan Doychev (Bulgaria), Andrea Roberto (Italy), Domenico Savio Mottola (Italy), Raphael Feuillatre (France), Davide Giovanni Tomasi (Italy), Jesse Flowers – Classical Guitarist (Australia/Germany), Giacomo Susani – Classical Guitarist (Italy), Dominik Carevic (Croatia). 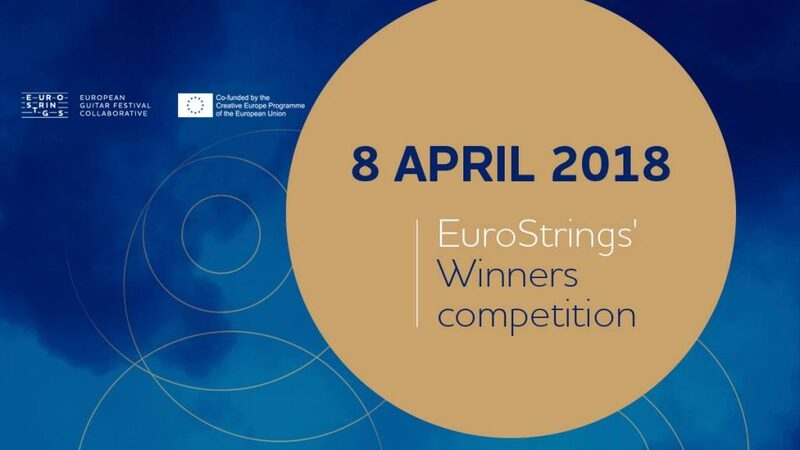 The winner of EuroStrings Winners’ Competition will receive a cash prize of 5000€ and will be offered one or more concerts in the US and in China. Join us for the finals of EuroStrings Winners’ Competition and get to know emerging guitar players! The competition finale will also be live streamed on EuroStrings Facebook Page.